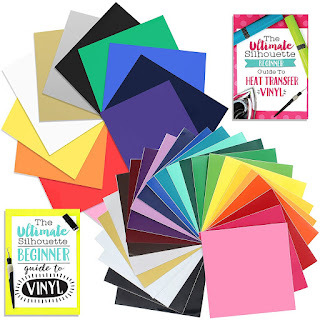 Did you ever wish you could design a custom patterned paper for a project or a scrapbook layout because you just don't have exactly what you need? 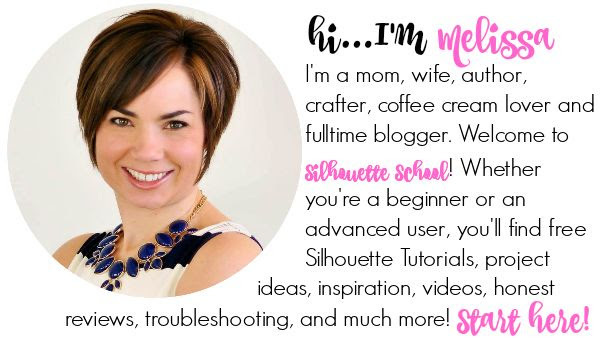 It's really easy to do in Silhouette Studio and since you have total creative control, you can customize it however you want! I was put in charge of the decorations for my sister's baby shower and, of course, that meant my Silhouette became even more of a workhorse. We went with a hot air balloon theme and at the last minute I decided to make a folded medallion paper wreath using a paper wreath kit I had on hand (no need for a kit though - you can totally make your own). It included papers that perfectly matched the baby shower theme. The only problem was it didn't totally tie into our hot air balloon theme. What's a girl to do other than make her own custom patterned paper to bring it all together. To start open Silhouette Studio. Set up your page by going to the Page Settings tool. Click "Current Printer" in the Page Size pane. The cutting mat size doesn't matter in this case, however you do want to check the box for "Show Print Border". Checking that box will bring up a gray border on your work area which will show you exactly where your designs will print. They will NOT print outside that border. 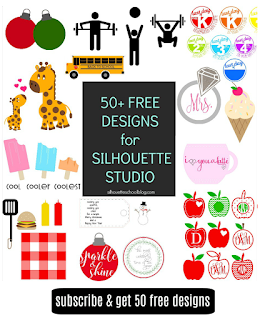 Now go to your Silhouette Studio library and find a design. Open it. Since I already had the hot air balloon designs created in Silhouette Studio for stickers, cupcake toppers, favor tags, and the invitations I simply used the same shape to convert it into a patterned paper. 1) All lines have a weight, otherwise they won't print. Go to the Line Style window to add a weight. Once you've done those two things, I suggest you zoom out so you can see the entire page. Select the single design and re-size it. For my patterned paper, I wanted my hot air balloons small so they would be fully visible even on the folded paper medallions. 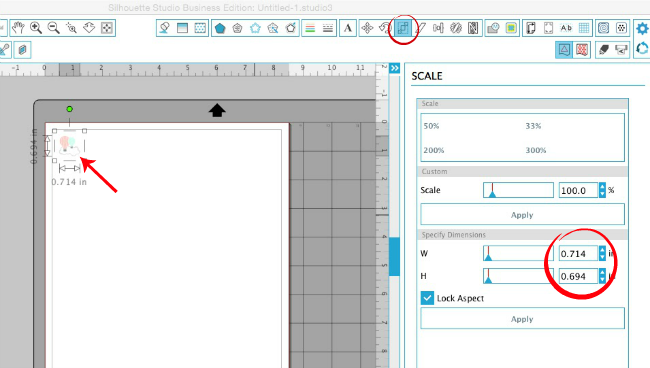 You can either select the design and drag the corner in or you can use the Scale tool to enter an exact dimension. Now you can start replicating your design. 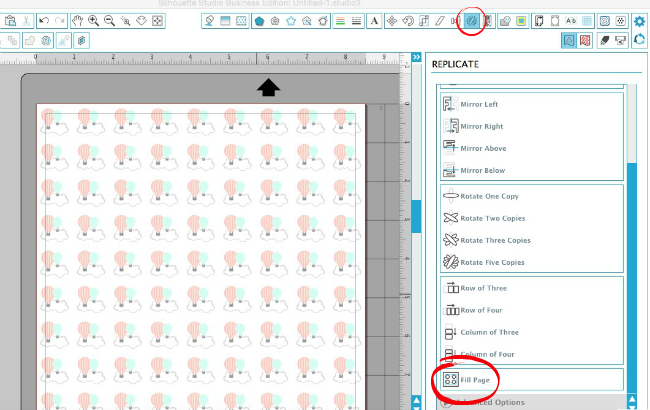 You can quickly fill the full page with the design by using the "Fill Page" function in the Replicate window. This work nicely if you want all of the designs in perfect rows and columns. Another option, and what I normally do, is I use the keyboard shortcut to replicate designs. To do so, select the design > hold down Command + Arrow Key. This shortcut will put the duplicate directly next to the original. You can space the design however you'd like by either moving it with the mouse or tabbing over. I usually make a pattern of 4 and then replicate the group across and down the page. 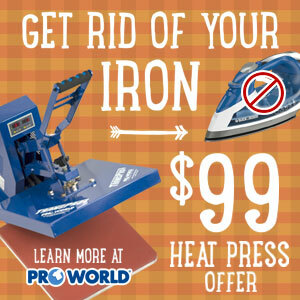 Here's a quick video to demonstrate this process. 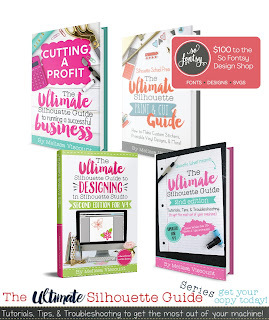 Once your entire page is filled with the pattern, you are ready to print. 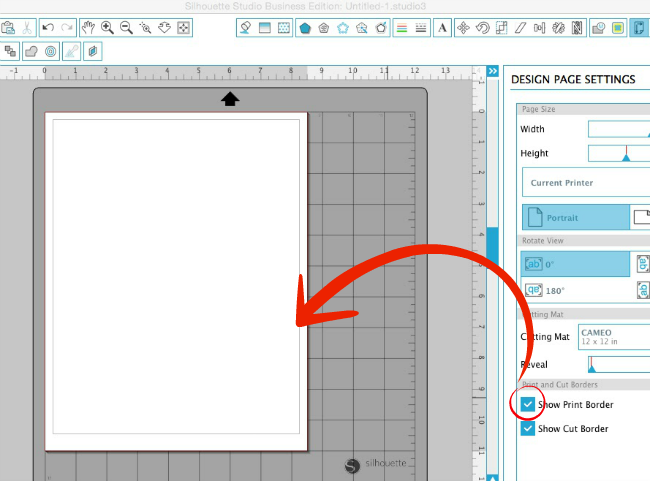 Make sure you have paper (I printed on white cardstock) in your printer and click the Print icon along the top tool bar of Silhouette Studio. 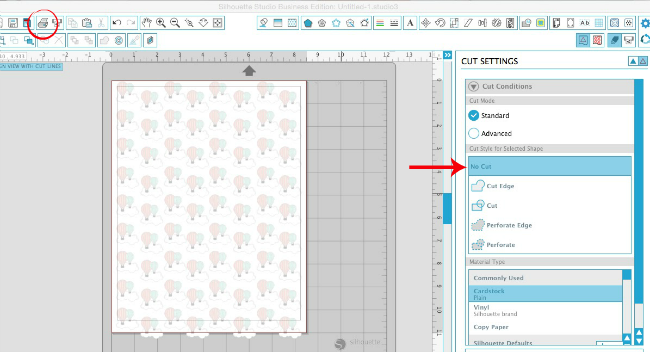 TIP: If you find it necessary to remove the small white border around your patterned paper, place the paper on the cutting mat with the top and left sides aligned exactly along the edge. 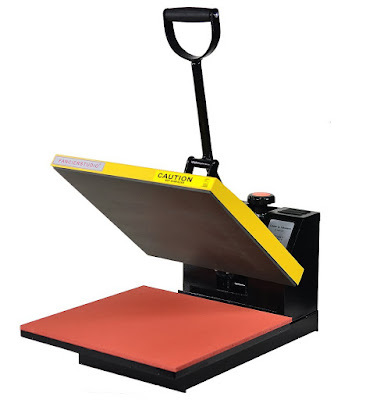 In Silhouette Studio, open a blank, new work area. 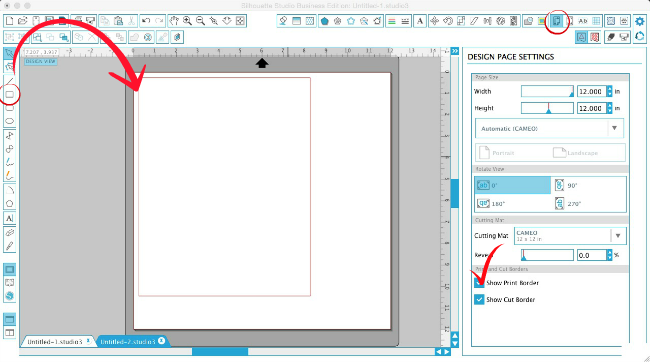 Again, check the box for Show Print Border from the Design Page window. 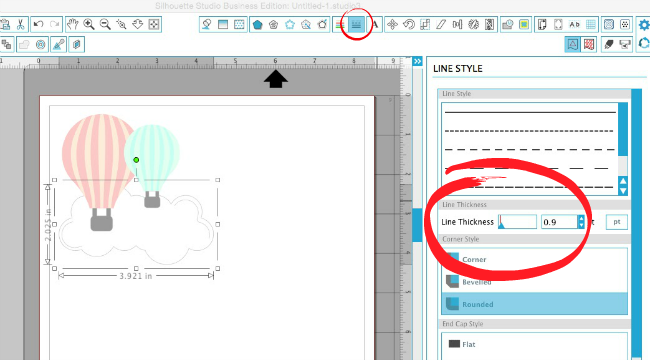 Use the Draw a Box tool to draw a box exactly over the gray line indicating the print border. 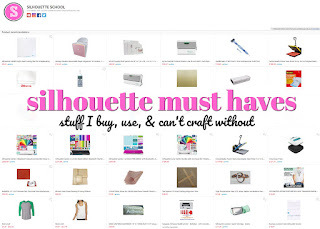 Adjust your cut settings for cardstock and send to Silhouette. Peel away the unwanted white edge. And in case you're wondering...here's how my paper wreath all came together! I love your tutorial and printed my design but I have red lines around every one of my images can you tell me where I went wrong please? Pauline: I've never seen Melissa respond to people's questions, so I'll take a stab and hope I don't tell you the wrong answer! Usually the red lines around your images are always there. When you are designing, the default line thickness is zero (under the "line style" menu). 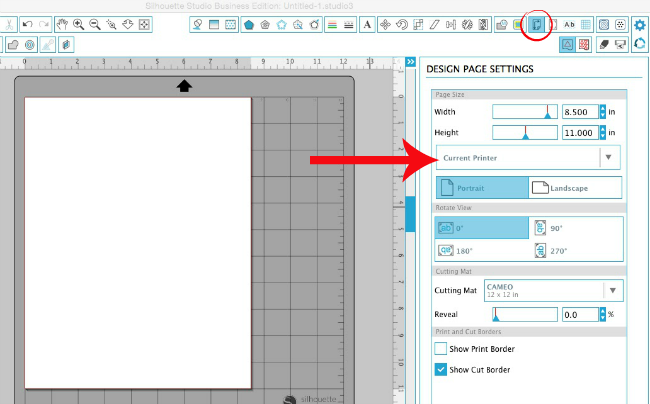 In step 1 of the tutorial, Melissa says, "All lines have a weight, otherwise they won't print. Go to the Line Style window to add a weight." By doing this, it makes your red lines thicker and they will print as red. You'll need to change the line colors of your shapes to get them to the colors you'd like. You have a plenitude of information on your spot. It looks uncommon. That is the kind of information. pay to write research papers On the off chance that it's not all that much inconvenience keep posting about such articles as they really spread supportive information.